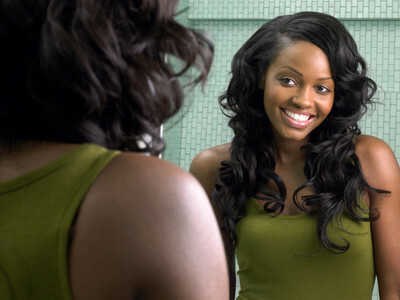 When was the last time you looked in the mirror and said “I love you” to yourself? When was the last time you took a day and just spent time with yourself? I love spending time with me! I love looking in the mirror at my naked creation that God gave me and loving all of me from head to toe. A relationship with myself is the most important thing I can do in order for me to be comfortable with myself. I pay myself compliments and praise myself for things I have accomplished in the same way I would compliment and praise others. Having a relationship with yourself should be a daily priority to all women in this world, just like being a wife and a mother is a priority. It begins with you holding down your household and keeping it all together so that you don’t lose yourself within the everyday activities that women take on. Having a relationship with myself allows me to hear God so clearly within my spirit and soul while allowing me to walk and live in my calling on a daily basis. Having a relationship with myself allows me to build my strength, character, creativity, personality, wisdom, courage and passion to do more in my life for myself and others. How do you plan to have a better relationship with yourself? How do you plan to have a relationship with yourself if one does not exist? Not sure how or wher to start? I can help. Just ask me how.